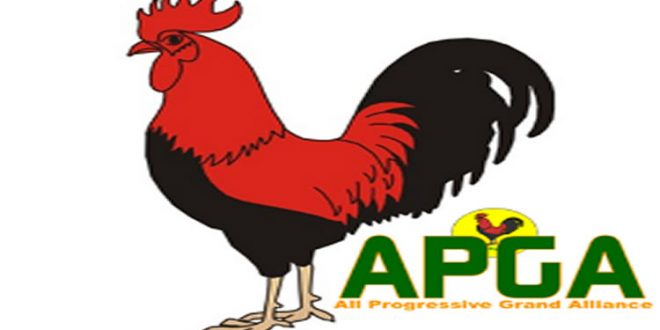 Weathering close the the 2019 General Election the All Progressive Grand Alliance (APGA), have announced her Presidential and Vice Presidential aspirants. The was announced on Tuesday, 18th September by the APGA National Chairman, Dr. Victor Oye, at Abuja. The APGA has chosen Major General John W.T Gbor (rtd) as its presidential aspirant while Chief Jerry Chukwueke will be his running mate as vice-president come 2019 Presidential race. Maj. Gen. Gbor hails from Katsina-Ala Local Government of Benue State, his last assignment in the military was as commandant in the Nigerian Army Education Corps. His running mate Chief Chukuweke hails from Imo state.